Sure, wireless CarPlay is a great resource, but it can require some serious time and effort tying into your vehicle's speed-sense wire. Kenwood's KNA-SPM100 adapter connects to your speed-sense wire through your vehicle's ODB2 port, giving you the convenience of wireless CarPlay and more accurate GPS locations for your navigation apps. This adapter is not needed if your wiring harness or OEM adapter includes a speed pulse connection. The adapter works with select Kenwood radios with wireless Apple CarPlay. 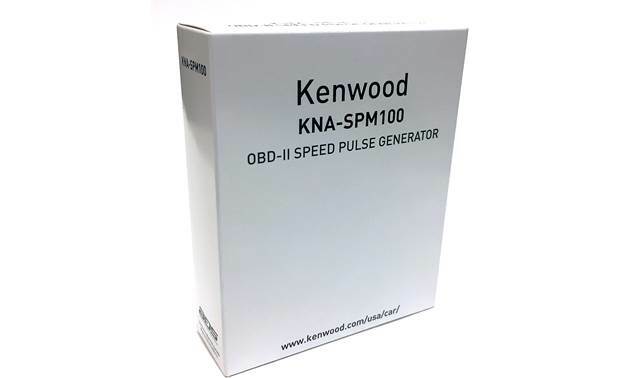 OBD-II Speed Pulse Generator: The Kenwood OBD-II Speed Pulse Generator (KNA-SPM100) is designed specifically for installing Kenwood receivers with Wireless Apple CarPlay in 2008-up vehicles, since Wireless Apple CarPlay now requires a vehicle speed pulse connection. The KNA-SPM100 converts digital speed data of your vehicle to pulse waveform for communication with a compatible Kenwood receiver. Once installed, the KNA-SPM100 helps to provide a more accurate GPS location when using Wireless CarPlay navigation apps; such as Apple Maps, Google Maps, or Waze. Wireless Apple CarPlay will not work without a vehicle speed pulse connection. If you are using a radio replacement interface with a vehicle speed pulse wire, you will not need the KNA-SPM100. 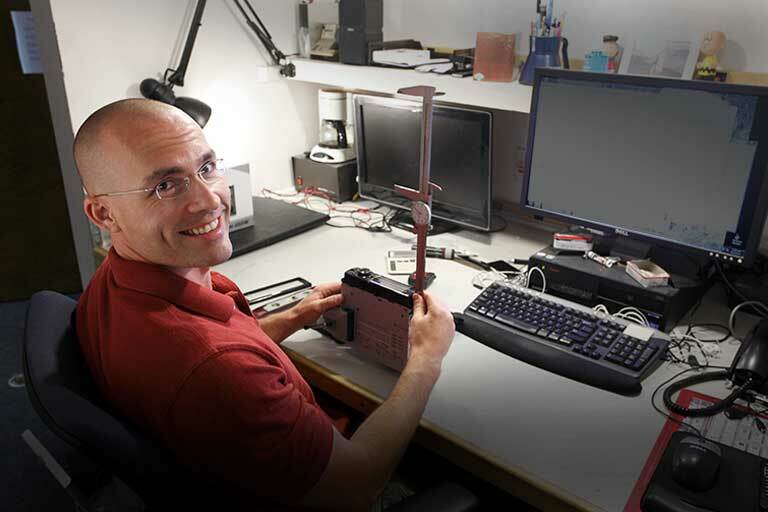 Instead of using the KNA-SPM100, you'll hardwire the Kenwood receiver's speed pulse wire to the speed pulse wire of the radio replacement interface module. Alternatively, you can also hardwire the Kenwood receiver's speed pulse wire to your vehicle's speed pulse wire (this method is much more time consuming and requires more installation experience). Compatibility: The OBD-II Speed Pulse Generator (KNA-SPM100) is compatible with select 2008-up vehicles and Kenwood receivers that offer Wireless CarPlay. Compatible Kenwood receivers include the DNX996XR, DNR876S, DDX9906XR, DDX8906S, DDX8706S, DMX906S, and DMX9706S. It is pre-programmed to automatically work with the compatible Kenwood receiver and vehicle once its installed properly. If a diagnostic tool is already being used on the vehicle's OBD-II port, the KNA-SPM100 cannot be added in parallel. 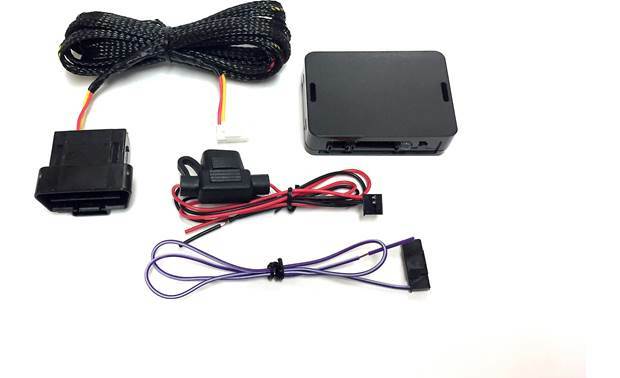 Simple Installation: The KNA-SPM100 features an OBD-II connector harness and simple 3-wire installation. OBD-II Connector: Plugs into your vehicle's OBD-II port. Power Wire (Red): Hardwires to the +12V accessory/switched wire (red) of the Kenwood receiver's harness; a 1A fuse is pre-installed on this wire. Ground Wire (Black): Hardwires to the ground wire (black) of the Kenwood receiver's harness. Speed Pulse Output (Purple/White): Hardwires to the speed sense wire (pink) of the Kenwood receiver's harness. Searches related to the Kenwood KNA-SPM100 ODB2 Port Adapter Easy connection of your vehicle's speed-sense wire to Kenwood car stereos with wireless CarPlay.